Blogging for me has been something that has changed my life forever! I started out simply obeying God out of duty, rather than from the heart, and the more I got into it, the more I fell in love. I fell in love with all of you. Within 12 months of blogging, I was making $10,000! Now, within 2 years blogging, I’m making over $23,000. If you would have asked me two years ago, if I thought that was possible, I’d say no. $1,000/month was my BIGGEST dream, no lie! I see where God is taking me and it’s so exciting to be a part of all that. Not about the money, but how He is using me to help others. How He is building my life up, this blog, and all of you at the same time. It’s incredible to watch. If you are feeling like He’s calling you to blog, my biggest advice is to not run away! You have no idea where He can take you when you place your trust and faith in Him and obey Him! I’ve living proof of that! From skeptical to $23k/month! If you want to know more about the details of the income, where it comes from, where it goes, etc. keep reading…I’m putting the actual numbers below, for you to see how REAL this is. I’m not saying it will happen for every new blogger, but I AM saying that it IS possible. Even if it takes you 5 years to get there, getting there is still worth it! I’ve also created a post that goes in depth on How I Made $10,000 My First Year Blogging, which is a guide that I wrote to accompany the income report, to help you get from whatever point you are at in your blogging journey to the next point. You can see that article here. Now, before I get into any numbers, please know that I only share this to inspire you and to show you what’s possible, not to make anyone feel bad. We ALL grow at different paces and according to our subject matter, previous expertise, and a hundred other variables. I’ve also been working this blog 80+ hours a week since I started it (up until 3 months ago, when I dropped my hours down to 40/week) and have posted almost every day since going LIVE (again until recently). If you’re putting in 10 hours a week, you can’t expect the same results. But….it’s not all about time either. I was spending a lot of time in the wrong places, so do your due diligence and figure out where is best to spend your time on your particular blog, and it will serve you well. In order to know exactly what steps to take, where to spend your time and what’s a huge waste of your time, I’ve created a road map for you, How to Turn Your Blog Into a Six-Figure Money Making Machine. You can purchase this eBook on Amazon here (currently $4.99) and I can tell you right now, the price is not even a millionth of the reward you will see when you start applying what’s in that book. Whether you’re a new blogger or a seasoned blogger, ALL bloggers I’ve talked to have learned A LOT! In December of 2015, I made $23,424.18. That came from many different sources and for the companies privacy, I’ll just lump them into categories. This does NOT include any companies that I am in for network marketing, including essential oils (I’ve been using and selling essential oils for about 6 years now), and Biomat (been with these guys about 4 years). Having trouble finding affiliate programs to join? I hear ya! You can spend weeks searching for different affiliate products to recommend and make money on OR you can click here to get my free eBook, Huge Affiliate Products Resource List for Lifestyle Bloggers! Google AdSense – Find the two ads that do best on your site and keep them. Delete the ones that don’t do as well. There’s no point in showing an ad that doesn’t make you GOOD money! Media.net – What I love about Media.net is that you can put the ads where you want them. I like to put them in some of my more popular posts. You can customize the ad colors any way you want and Media.net will automatically A/B split test them to get you maximum results. Although I have many books that sell well for me (and that’s awesome because this is my future; I LOVE to write books and see being an author in my future!) these are the two that do the best. Those two books have hit Amazon’s #1 Best Selling Lists several times. There are other things to consider like office supplies (ink, etc.) and training, conferences, email signatures, etc. Expenses came to: $1,224.72 (not including those misc. things). Profit came to be $22,199.46 that month (not including those misc. things). My traffic has been pretty steady at a million all year, and currently I’m up to about 1.5 million pageviews per month and expect to stay around that level through the rest of the new year. As I grow; it’ll get higher of course, but I don’t anticipate a drop. My traffic is very, very stable, so that even if I lost my biggest traffic source, I’d still be around a million in pageviews, which is something I’ve been working really hard on this year. Building my newsletter. Building trust and brand awareness and so on. If you’re thinking about blogging, you definitely should start a blog! You never know where it can lead you!!! The biggest thing I’ve changed this year, is that I’ve cut my blogging hours from 80+/week to only working 40 hours a week. Seriously, it feels like I’m on vacation only working 40 hours! I’ve been working 80+ hours a week in eBay and on this blog for over 3 years! I stopped posting regular size articles every day, and started posting 2-4 times a week more lengthier articles. I try not to post anything that isn’t at least 2,000 words long. Went back through and deleted over 300 posts on this site and am cleaning it up so that only THE best is showing. Adding more content to old articles. My goal this year is to take all my old articles that weren’t deleted and re-do them into solid 2,000+ word posts. This will take a very long time, but again, my focus this year has become high quality, not quantity. Discovered some key things on Pinterest, which has brought my traffic up in a major way and I’ve moved away from focusing on followers to focusing on traffic. I currently receive more than 500,000/month in traffic from Pinterest. Taken off ads. I’ve taken off over 20 ads off my site and my goal is to remove most of them, if not all, in the future. This takes time, but is the path of where I’m going. Taken steps to post more about making money from home. It’s something I’ve done for 18 years now, back when I was still underage. I’ve seen a lot and when I started this blog, I had every intention of teaching all that, but felt it was important to lay down the foundation of saving money FIRST. What’s the point of making more money, if what you have is already flying out the window?! So, step 1 was all about saving money, step 2 is about adding in making money posts as well. Started writing ebooks. I was convicted to start writing books and when I started, I got bit by the author-bug. I just ADORE writing ebooks. One day, I’d love to start writing traditionally published books. I feel this may be God’s path for me. I hired an assistant (Katie), who is making my life SO much easier and I’m so thankful to have her on the team! Producing quality content, although stepping up my game in a MAJOR way. Investing in women’s lives. Answering emails personally, and showing God’s grace and love to others. Not only taking the time to help others, but also genuinely caring about them and truly wanting to serve. Talking about God. Although my blog has been the target several times of people wanting faith off my site since I started blogging, it’s not going to happen. If I absolutely had to pick, I’d lose everything I’ve worked for on the blog than to take His name out of my blog. It is who I am, whether accepted or not. Create some sort of course that is 100% focused on one-on-one coaching. It will be a course that readers will have to apply to and only a very small number will be able to get in, in order that I be able to PERSONALLY serve all their needs. Continue writing ebooks. I absolutely love them! Get to the $30,000/month mark by next Dec 2016, and then $40,000/month by Dec 2017. Keep working on building my newsletter subscriber base. I’m currently get about 3,000 new subscribers a month, so I’d like to stay stable at that number or increase it. Stop being so shy in person and take more initiative to be a leader by speaking, investing in others more, and being someone people can depend is going to be there, etc. Get to 3 million pageviews by Dec 2016. Delete more ads off my site. Write my first women’s Christian devotional book. Have you ever considered how much blogging income you can bring in? Has this post helped show you what’s possible? How does it inspire you in your blogging journey? If you are interested in creating a blog of your own, I made a step by step video tutorial that will help you start a blog of your own on the cheap, starting at only $3.49/month for hosting (you can only get this lower price through my link). You will receive a free domain name ($15-$200 value) if you purchase at least 12 months of hosting. Of course, you want to be self-hosted, especially if you are wanting to make money blogging and this is the most cost effective way to go. My post here will walk you through everything you’ll need to do to get up and running in less than 5 minutes! If you’d like to learn more tips about how to make a full time income blogging, see my post, How I Started Making $10,000/month My First Year Blogging. This will help you get a better understanding of how to get to the next level in your blogging journey. If you’d like a complete, step-by-step road map of how to turn your blog into a six-figure money making machine, be sure to check out my new ebook on Amazon here. Are you ready to start your blog? If you are, you’ll want to click here and sign up with BlueHost. They are the most economical with fantastic customer support you can get when you are first starting out and they make everything completely easy for you. When you go through my link, you are sure to get the best specials and deals that are available at that time. Click here to see a video of the process and get more information about how to go about starting up a site, and don’t forget to read this post here on all the things you’ll need to think about when starting up a blog. Still not convinced you should? Read my post on 47 Reasons to Start a Blog to see if it’s the right decision for you. Still have more questions? 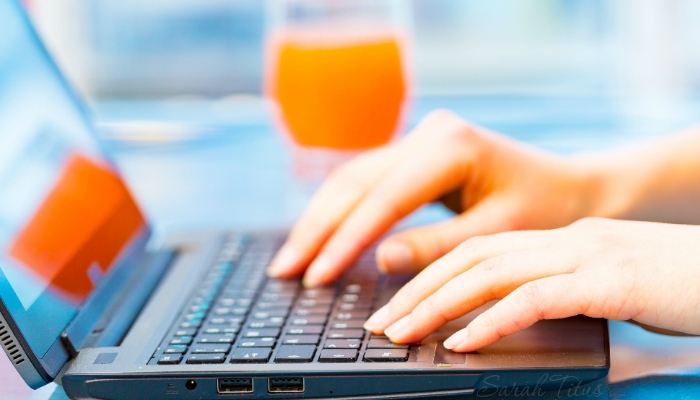 Check out the Most Common Blogging Questions Answered by clicking here. You’ve done it once again! I love your non compromising attitude when it comes to giving God the glory! Sometimes He is lost when success steps in to a persons life. May your convictions always remain strong in this area! I’ve started and stopped many a blog but my motivation came when my husband was given an opportunity to preach in our local assembly. His hunger and thirst to preach has grown exponentially and now we steadily pray God allows for him to attend seminary. Now with 6 kiddos running loose and the ever pressing needs of a large family hanging over his head, discouragement of ever being able to attend seminary and take care of us was quickly lost. I stumbled upon your $10k earnings post and felt like, Lord willing, I too for a season could aid in his being able to attend. By Gods grace He will allow for this to happen but even if it doesn’t I’m grateful to have been encouraged and inspired by your writings Sarah! May God continue to use you in the lives of women whom He brings along your path! Hi Jerica! I read your comment,,,and was just wondering…did you ever take the next step and start a blog? I loved reading your comment..especially about 6 kids. I love big families….If you had a blog, and there was a link in your comment…I definitely would have visited your site. Hope all is well and best wishes in life wherever it may take you!! I loved this post, it shows a lot On how you stand firm with God. I admire you for that! I’m just starting out with my own blog that’s on art and scripture and if you get the chance to look it over and possibly critique it that would be amazing! When did you cost become a Christian? Wow Michelle, I am blown away. Your art work is breath-takingly gorgeous! I love the starfish one the best! But I think you can make a lot more money if you go a different direction and provide them to the masses. I just opened up Store Optimization Critiques. I’d love to work with you. Currently, I have a sale going on, to get half off (!!!) if you enter in discount code: BOCFIFTYOFF Contact me if you have any questions or want to move forward. You have a lot of potential to make some really good money on your art, if you sell it in the right avenue. I am very impressed. Congratulations on all of your successes. Is blogging your main source of income now? Wow, this really motivated me! So far I think I’ve made major progress this year with my blog. Looking forward to all the goodies you have planned this year. Much love to you Sarah! Thank you Randi. So glad that you are making such great progress! 🙂 And thank you for encouraging me! 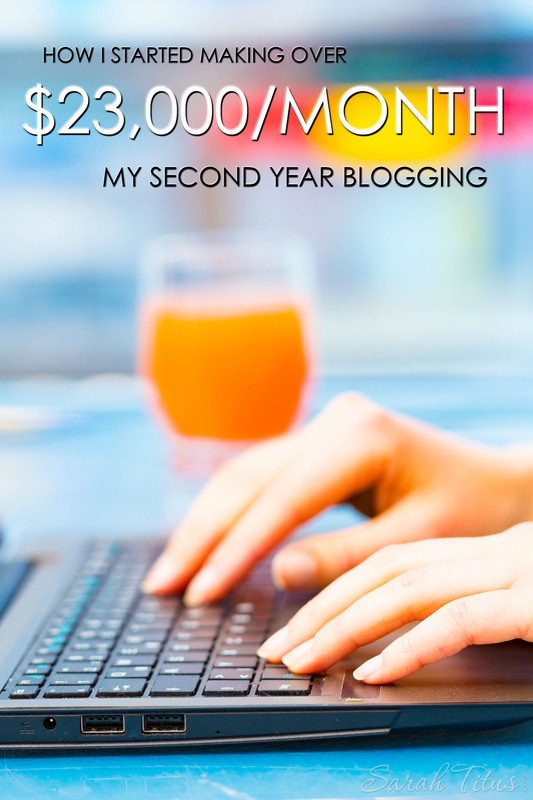 May I ask you how it is possible that you spent more then 80 hours working on your blog? What did you all do? Because I started a blog and I put a lot of effort in it, but I spend like 10 hours a week. Do you have tips about extra things I can do for my blog? This is a huge motivation to me! Your blog gives me hope! That’s great Daundra. 🙂 All the best in your endeavor! Thank you for such an informative post! I’m drawn to blogging too (although I’m not religious) I feel drawn to it and absolutely love helping people like you. Keep up the great work and I hope you achieve your goals! Your income reports are a huge motivation, Sarah. Thank you for sharing that information with those of us who are beginning our blogging journey and attempting to figure it out. Sarah, you’re absolutely awesome. I love reading your blog. I’d love to see monthly income reports!!! I found you on Pinterest. I just read the $10k/month post. I am curious what has inspired you to remove all of the ads and how that affects the bottom line. Is there a post about this? I haven’t used ads yet because I feel like they make a blog look cluttered but it seems very effective for many. Thanks! I am struggling not to be envious. I am a Christian, homeschooling mom and have been blogging for three years and I get about 3000 views per month and make maybe $5. This has been an ongoing trial and struggle for me. I have even accused God of not loving me enough to help me make this work. I’m sorry if this post has created envy in you…definitely not my intention. I think that we have to remember that God’s plan for each person is so vastly different. It *sounds like* to me, apps is not the way to go for you…what about more of a lifestyle blog or a homeschooling or parenting blog? Something that you can put yourself into, share your knowledge with the world? I appreciate you, but I have a mom / lifestyle blog for 3 years – ASimpleLifeToo. I have actually made more money with the Apps business in 3 months than I did in 3 years with my other blog. I am working now on tying them together. And I really did pour myself into that blog. I had unique areas like the fact that I celebrate the Biblical Holidays (Passover, Feast of Trumpets and Tabernacles, etc..) and that I homeschool for almost no money each year. I had moments when things would start growing and then they would just go back down again, no matter how much more work I did. I know you must get SO MANY of these, and this one might slip through the cracks. But I hope you read this knowing you just inspired me to change my life for the better. I’m currently a graduate with a degree in PR. But my absolutely dream job is to be a blogger. I don’t care how much money I make as long as I can make a living. I was pretty skeptical about starting my own blog. I’m nothing but a freelance “ghost writer” which means I currently write blog posts, ones I’m quite passionate about, but people buy those blogs and I get zero credit, and can’t share my writing with my friends, family, or anyone else to be inspired. I was reading this blog and got to the part where you said “If you feel like He is calling you to write a blog” or something along those lines. I truly feel like God wants me to blog. He has words just waiting to come out of my fingertips and onto the white background of my computer. I was so discouraged about it all. I can’t even afford to start my blog yet on Bluehost. But I know what my domain name will be. I know that He will use me AND I know that I have you to thank for this inspiration. Thank you for being open and honest and making me believe that someday, hopefully soon… I’ll be able to afford to be a blogger. Megan, nothing slips by me…MWhahahaha. Just kidding. 🙂 XD I would say to just keep selling as much as you can as a Virtual Assistant to be able to afford your own domain. When I first started blogging, this is EXACTLY what I did to be able to afford starting a blog…a year and a half later, I hired my first regular (and amazing) personal assistant. I’ve come full circle, and I was determined. Don’t worry about running out of things to say. As a blogger, once you get in there, you’ll never run out! I’m three years in and still have a notebook of at least 300 post ideas. I just keep writing from my brain and use the book when I’m going through a dry uninspired phase. Hi Sarah, would you consider writing a book including all of your information on how to become and make money as a blogger? I know it is probably a huge thing to tackle but I love reading print and kind of checking off a list as I complete them. Thanks so much! Thanks! That is a big help. You are such an inspiration! I’ve been blogging for around 9 months, but haven’t been too successful with creating income or generating steady traffic. Do you have a post on SEO? I’ve been trying to learn about it, but most articles I find are for people that are more tech savvy. Thank you! Hi Sarah, I’ve been doing a lot of research about how to start blogging and came upon your article and loved it! I love that fact that you mentioned about God in your writing and you’re not ashamed of who you serve. I’ve been praying a lot because I’ve always wanted to do something from home until I came across blogging and I feel in my heart this is it. I will also make godly content because it is because of him that I am where I am today. Thank you for this motivation!!! This post has really inspired me to keep going with my blog and not give up! It took me 6 months of contemplation to even get myself to start a blog. I now have a blog and I make posts about three times a week, but I am still struggling with getting traffic, so I have contemplated stopping. Your post has made me want to keep pushing until I reach beyond my expectations. I think it is going to take a lot of hard work and effort, but with the help of your posts I may just be able to hack it. Thank you! Hi Sarah! This is incredibly motivating! You are truly an inspiration! I read this income report does not include sales from you network marketing business. Do you mind sharing a little more about that? I have recently added network marketing as another stream of income for my blog and I’m curious as to how well that does for someone as successful as yourself? Or more importantly, what are your thoughts on leveraging a blog to be successful in network marketing? Thank you! Leveraging a blog for network marketing is PERFECT, absolutely. Here’s an income report with the network marketing information in it. Amazing! I’m just starting my second year. My first year I made $4000. Hoping to at least double that this year! Do you have any favorite ShareASale merchants? My top earners are Tailwind and CreativeLive but I’m looking for more to promote. Niki, congratulations on making money your first year – that’s great! One of my favorites is Picmonkey, and some others that have to do with themes because I teach on blogging. However, my best suggestion for you is to do what I did when I first started blogging. Just look through the entire list and see what fits your blog niche, and what you could talk about naturally. Anything you like, that you can share with excitement, will always do well for you. Good luck! Hands down the best article I’ve read on this subject. And I’ve read many! Thanks so much for being open, honest and selfless enough to share this info for free with your readers. You’ve helped me so much. Planning to go through and check every link! I pray your blog continues to grow and grow! Give and it will come back to you good measure pressed down shaking together and running over…. Ronnie, thank you for your sweet words. I am glad this post was helpful to you, and I hope you found ideas you could use! I wish blessings for you as well as you begin your blog!